I have a business plan for you, are you ready? Well, if you use Green Leaf Lawn Service to get some amazing Tulsa Christmas lights, that they can provide you with, both in the installation phase, and in the removal phase, your home is going to look so good, people might just start lining up to drive by and look at it at night. Well, if this is true you have a couple of options to make some money. You can charge people admission, or you could set up a little hot chocolate stand, and charge people by the drink. I am just saying, you can actually make some money here, by simply calling Green Leaf Lawn Service at 918-640-6405, just because of how amazing your Christmas lights are going to look from them. You can get Tulsa Christmas lights services, from other people, but I can tell you that they are not going to have the great prices that Green Leaf Lawn Service has, and they are not going to be as fast as them either. And, you are going to love the fact that every time you use a new service from Green Leaf Lawn Service they are actually donating money, to a school of your choice! You can get great Tulsa Christmas lights, and you can be givingback to your local community, all at the same time. So there you go, you can make some money, get some great Christmas lights, and you can get that feel good feeling, during the Christmas season. So, what are you waiting for? Now maybe you’re sitting there thinking that you don’t need Christmas lights currently installed, because it is not near Christmas. But, Green Leaf Lawn Service has been providing people with amazing, complete full lawn maintenance, and lawn service care, for over 30 years now. So you can use them to up keep your lawn, and then when Christmas comes nearer, use them for their Christmas lights services. You might want to keep their number handy as well, because these are the experts that can provide you with snow removal as well. If we are being completely honest with ourselves, then we can admit to the fact that nobody enjoys putting up Christmas lights. Nobody. It is extremely stressful, and takes up so much time to prepare for. So instead of having to deal with all that stress, and instead of having to give up all that time, why not let the experts do it for you? The experts that are going to you in a very fast, rapid, and timely manner. They’re going to be there and gone before you even know! Leaving you with beautiful Christmas lights, making your house look grand. Call Green Leaf Lawn Service today, so they can provide you with these great looking lights, that may, or may not end up making you a lot of money! Remember the business idea I gave you earlier! I will take 2% of the profits, and we will call it good! So call Green Leaf Lawn Service today at 918-640-6405, so you can get all of these great services, and even more that I did I get a chance to mention yet. I have some great news for you, and I really think that you are going to appreciate me telling you about it. The news that I have, is going to be all about Green Leaf Lawn Service and some of the amazing services that you can get from them. They have things like weed killing, lawn maintenance, Tulsa Christmas lights installation and removal, the list goes on and on. Keep on reading, so you can learn about all of the different things, and so you can find out why you should be calling 918-640-6405. 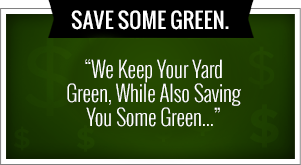 Okay, so think of all of free time that you can have when you use Green Leaf Lawn Service to get any of the services. Instead of having to spend hours and hours on your lawn, making it look amazing, why not get the experts that are going to do it in short order? They can make your home and your lawn look so incredible, and quickly as well. Say you want a tree planted, they can do it. Or you want a small tree or shrub removed, they can do that as well. If you need landscaping advice, or sod installation, they can do all that as well. They can even do gutter cleaning, in the fall and in the winter they can do that Tulsa Christmas lights installation and removal that we talked about earlier. 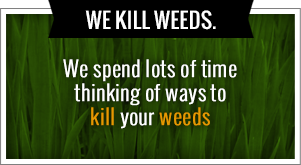 This is something that not all lawn maintenance companies can do. Instead of spending hours and hours untangling lights, then hanging them all up to find out that one of the bulbs is out, having to take them down, test every single one of the lights, to see which one is not working, and then re-hang them, why not use the experts that will do it all for you? These are the experts that are going to provide you with extension cords, at no additional cost. These are the experts that are going to bring timers for you, at no additional cost. These experts at Green Leaf Lawn Service that are going to provide you with some amazing Tulsa Christmas lights, that you are absolutely love. Since you are using an expert for this, you are going to free up so much time, then you can do whatever you want to with. You can catch up on sports, you can catch up on your Netflix, whatever you are wanting to do, catch up, by simply using Green Leaf Lawn Service. Are you getting excited? Are you starting to plan some relaxing days off? Because you should, you deserve it. You deserve to have some time, especially during the Christmas season. Christmas time is hectic enough, so you don’t need to be adding any more things onto your plate. Let the experts take care of it, where they can. The experts are Green Leaf Lawn Service and a specialize in providing you with great quality service, every single time. You should call them, and let them provide you with a great looking lawn, and even more amazing looking Christmas lights. These experts have been doing this for over three decades, so trust them! Trust them, because they know exactly what they are doing, and then help you in the best way possible. Call GreenLeaf Lawn Service so they can provide you with all of these great things, they can help get rid of your stress, and they can even provide you with a free estimate. It doesn’t matter if you are a homeowner, property manager, whoever you are, if so long as you are needing lights, or a great looking lawn, and great service, then you need to call 918-640-6405.